Join me to the land of Siam! It truly captured our heart! We discovered Bangkok balancing vibrant culture, deep spirituality, divine cuisine, a unique blend of natural beauty, traditional hospitality and ultra-modern edginess. 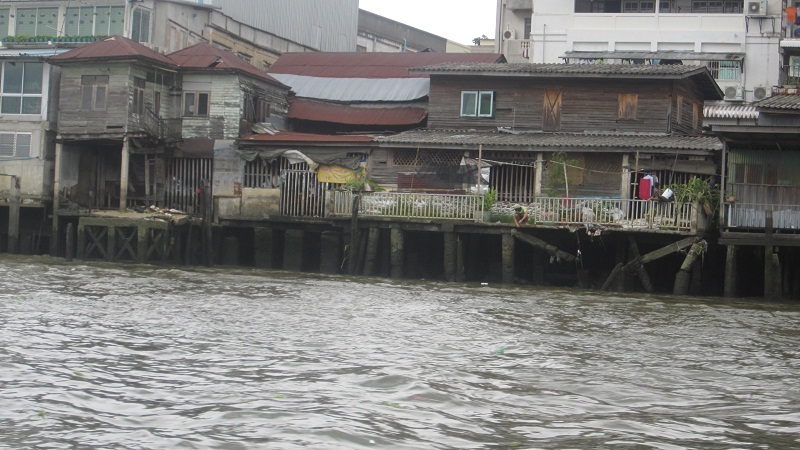 Of a particular note, the establishments on stilts above the Chao Phraya River offer great views of the city. Thailand’s name in the Thai language is Prathet Thai, which means “Land of the Free.” Formerly known as Siam (Sanskrit meaning dark or brown), it is the only Southeast Asian country that has never been colonized, despite European pressure. This is due to the long succession of able rulers in the last centuries who exploited the rivalry and tension between French Indochina and the British Empire. Thailand remained a buffer country between parts of Indochina that were colonized by the two colonizing powers, Great Britain and France. 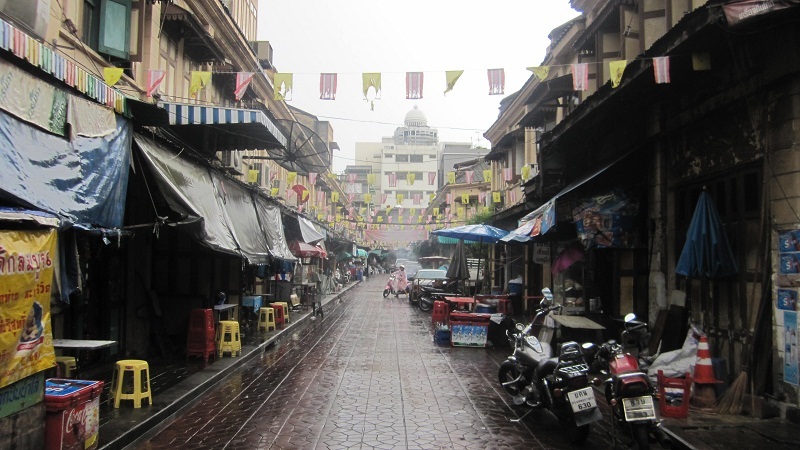 Thailand received cultural influence mainly from India with a much smaller influence from China. 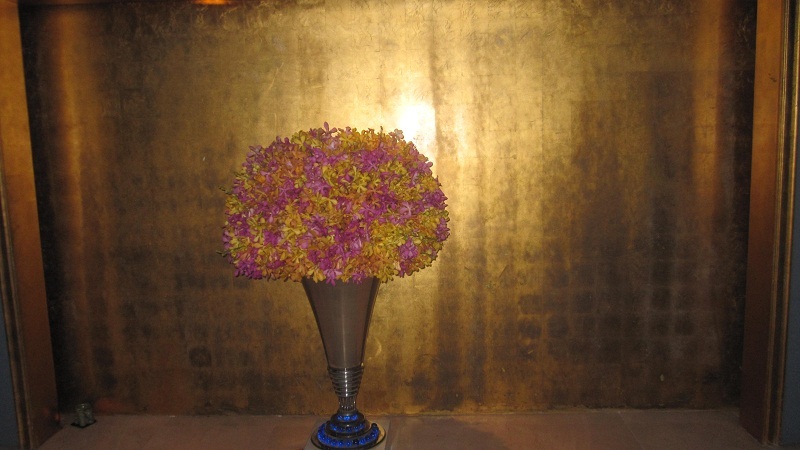 Thailand has one of the best hotel systems in the world. A way to get a great deal on hotel rooms in Thailand is book online but not through the hotel websites. Agoda, booking.com and Asia Rooms always offer great deals, with savings as much as 50% off the hotel website prices. 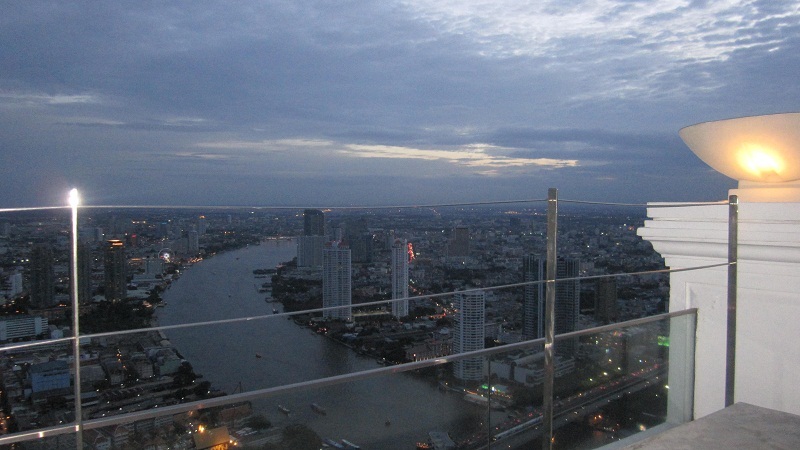 We chose the Lebua Hotel, in Bangkok, overlooking the Chao Phraya River with spectacular views of the city. It is close to the river, in order to take a ruffle which is the best transportation way. 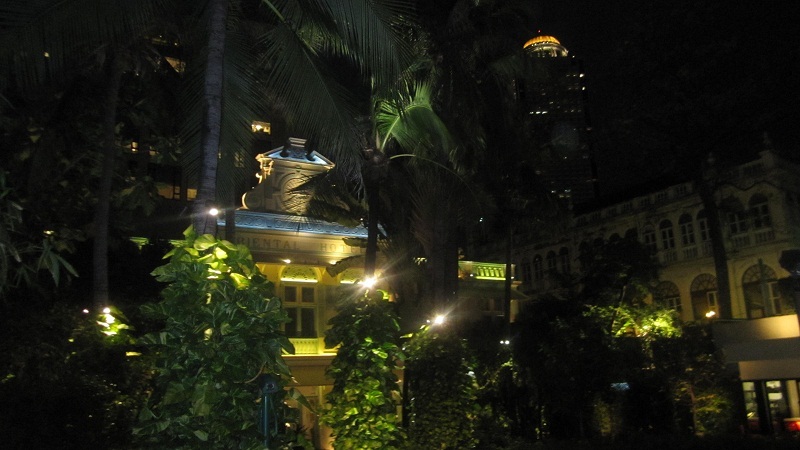 The hotel is in the same area with as the Shangri La, the Peninsula, the Mandarin Oriental and the Sheraton. 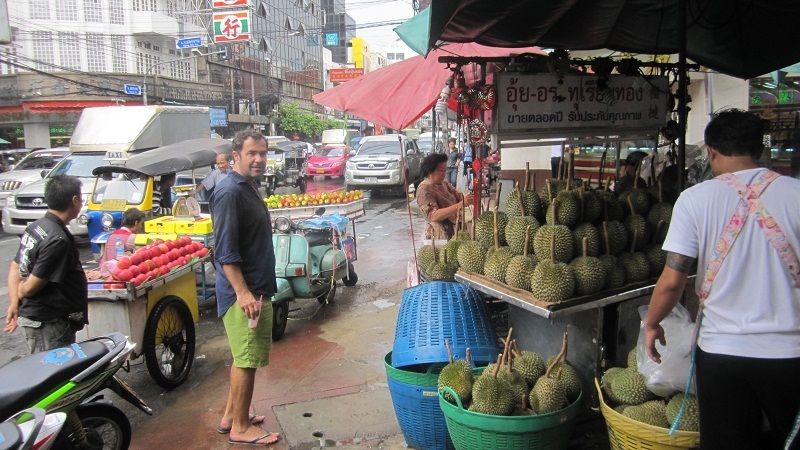 We spent 5 days in Bangkok, a start when comes to exploring the everyday side of life there. 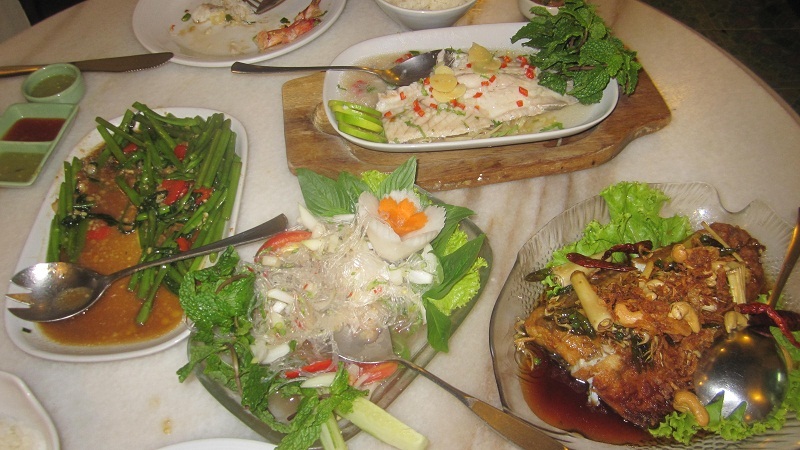 So, exploring food.. the delicious Thai cuisine offers good balance between healthy and tasty food, light, traditional combinations are offered, with ingredients which belong to the sea and to the beach. 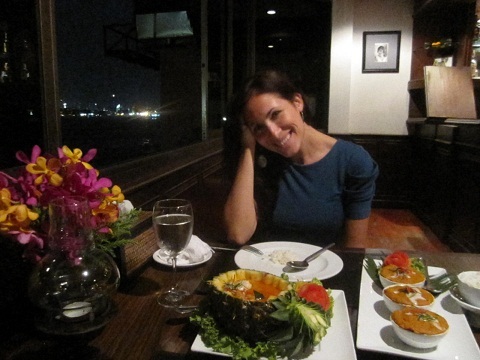 • I was surprised on my first evening in the city with a dinner at The Verandah Mandarin Oriental, with international and Thai a la carte dishes, on a terrace overlooking the Chao Phraya river. A romantic place, lighted by torches outside, a darkly intimate interior… and the mood is subdued. 🙂 Here they cook the best minced fish, morning glory and sea bass. The Verandah offers a raft to ferry guests across, 2 minutes from Mandarin Oriental hotel, plus a 5-7 minute by walk from Lebua Hotel. • High above the rest of Bangkok, the rooftop Sky bar, on 63rd floor of the Lebua at State Tower, is a cool bar whith the greatest view of the city. Lebua, with its 7 restaurants and bars, offers decadent fusion style dinners, a variety of cocktails, hand-rolled authentic Cuban Cigars and live jazz, in a captivating ambiance for a perfect evening. 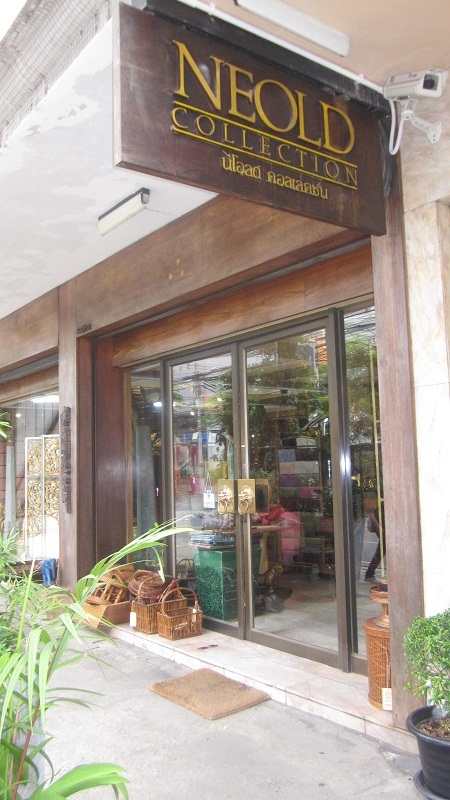 • Harmonique, one of our favourites, is a family restaurant business, 7-10 minutes walk from the Lebua hotel. . Not only will you eat delicious Thai food in a very authentic atmosphere but you also save some money as it is fairly inexpensive. Everything we tried was excellent. Plus, the interior design is really cool! We couldn’t stop taking pictures of every single detail in here! 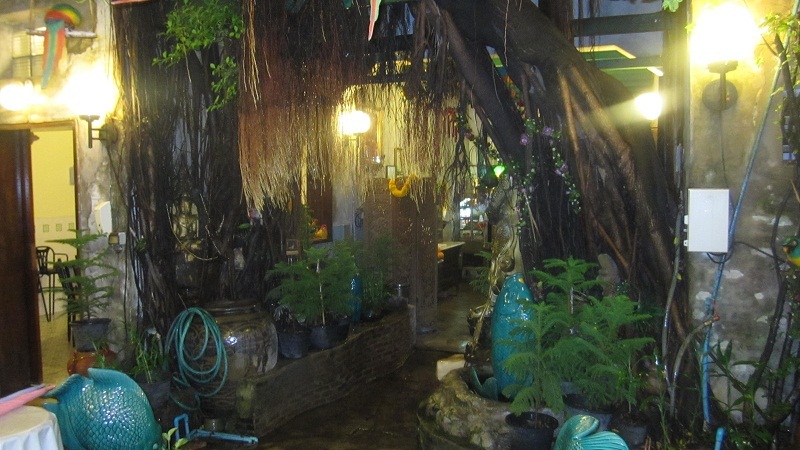 • Supatra restaurant, a colonial style house, on the banks of the Chao Phraya river creates an ultimate dining experience. Your mouth dances with a concert of flavors when you eat here! I ordered their unique tom yum goong, it is delicious! And I couldn’t miss out on their green curry. Did I mention how tasteful and cheap the Thai cuisine is? Well, please have that in mind for your travel in land of Siam. From the Lebua Hotel, it takes 45 minutes by cab during rush hour, around 7pm, that cost 180 bahts ~ 4 €. ; around 10pm it will only take 15 minutes, cost 150 bahts ~ 3.5 €. Taxis are very cheap! 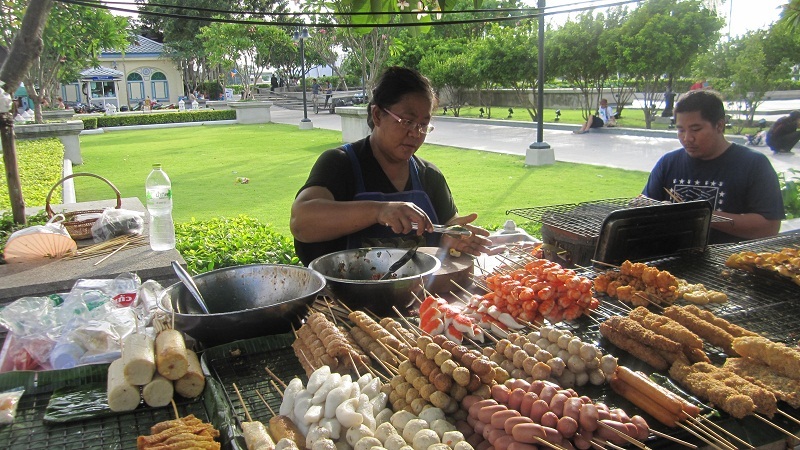 • If you are in Bangkok I highly recommend you to enjoy an array of tantalizing seafood options at the numerous Thai street stalls! • Other good restaurants: The Deck – Arun Residence, Patara Fine Thai Cuisine – Sukhumvit Rd, Bo Lan- Sukhumvit Rd, Lemon Grass – Sukhumvit Rd. • If you are a wine lover, you should know that wine in Bangkok is extremely expensive. We found a great resort, though, in Koh Lanta island, where one can enjoy great wines at very good prices. 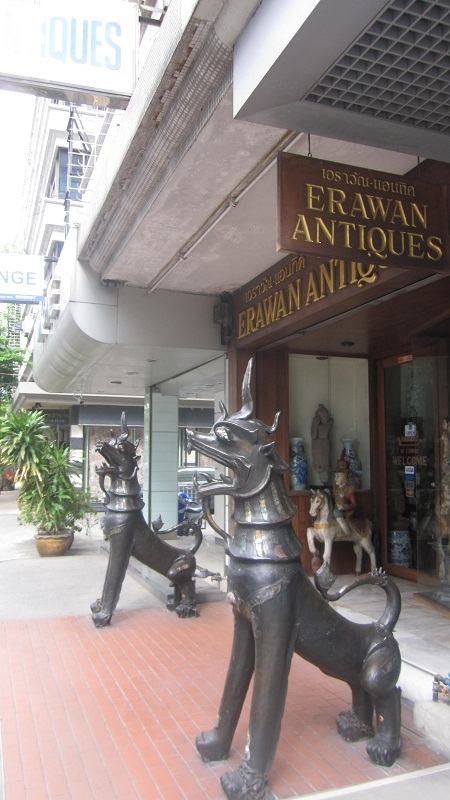 We found some elegant Antiques & home decoration stores in our way to discover the Bangkok! Most of the time, hiring a taxi and going to a tourist attraction yourself can be a more authentic experience. 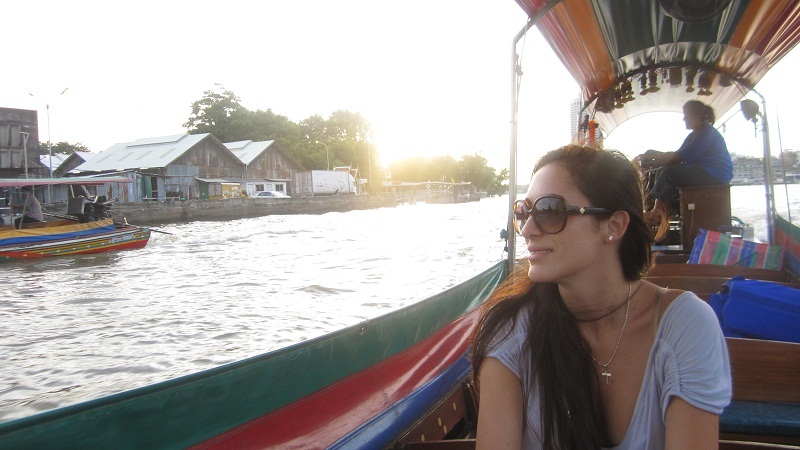 In order to discover Bangkok, take local public boats up the river, visit Thai temples, spend an afternoon at a museum, walk around a neighborhood and take photos of the buildings and the locals, visit a local park or the floating market, or join one of the mass exercise classes you’ll see outdoors all over Thailand. 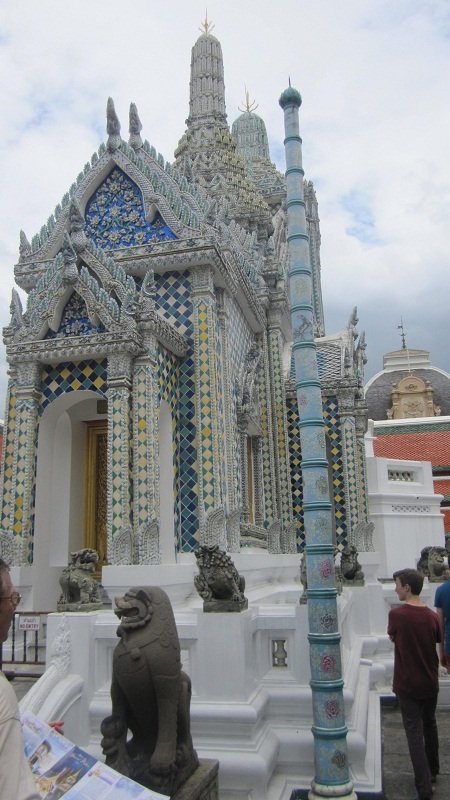 For us, one great experience was visiting Wat Arun temple. Watching people worship is one of the most intimate and revealing cultural experiences a traveler can have. Now we found out that traditionally in Thailand, feet are considered lowly because they symbolize an attachment to the ground, which is a cause for human suffering. As such, a person must never sit with their feet pointing to a statue in a temple or at some other person. Feet must always be tucked underneath the body. 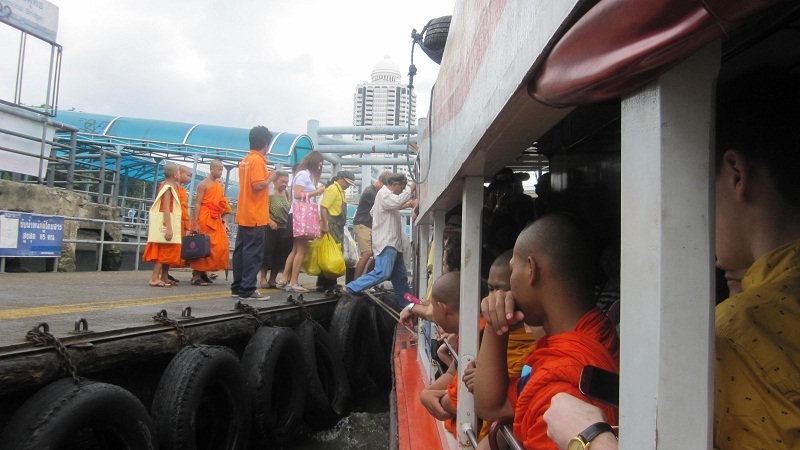 There’s nothing quite like a long tail boat ride, so follow these pointers, hop on, and enjoy the ride up and down Chao Phraya river. This is going to be a part of the Bangkok experience for about 10€/ hour. 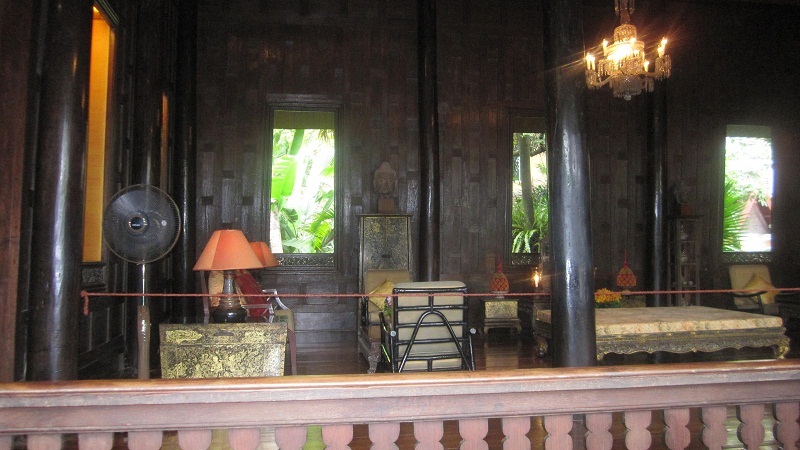 One of my favorite places in the city is Jim Thompson’s house, an amazing colonial style house, of an ex- architect who helped revitalize the Thai silk industry in the 1950s and 1960s. 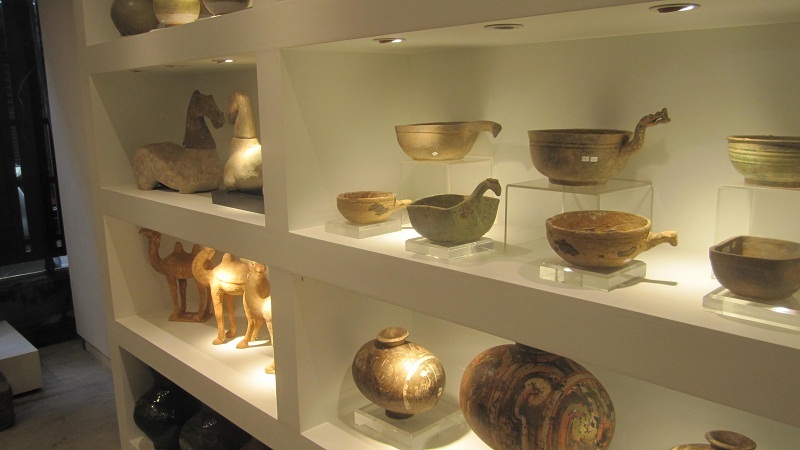 He was a renowned collector of antiques that can be admired in the house. 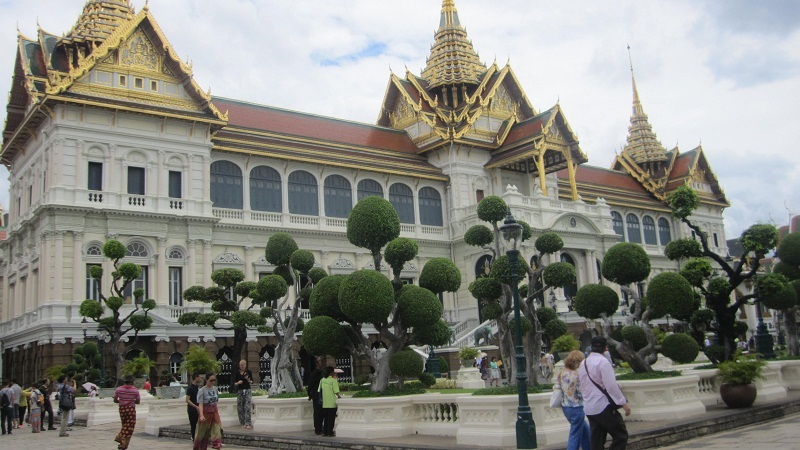 Other places on the visiting list are Grand Palace, Wat Pho with the reclining Buddha and Temple of Dawn, Patpong night market, flower market, Suan Lum Night Bazaar and the royal barge museum. 6. Exploring their customs.. Thai massages, yoga, meditation, all are a window to their world. So we practice them everytime we are in Asia. After days of walking around, I indulged myself with a Thai body massage, for about 500 baht/ hour (~11€). Thai massage uses pressure points, a method that means lots of hard pressing, twisting, cracking of joints and squealing. It’s invigorating and totally relaxing. All at once, your body will be rid of any niggling aches and pains. Above all mentioned, I need to stress out that Thais are the nicest people I have ever met. They are always smiling, extremely polite and always helpful. Thais also have amazing memory and once a friend, always a friend! something back and aid others for example you aided me. blogs on the internet. I am going to strongly recommend this web site!